and spend free tme with Russian volunteers! Individual courses are available all year round! 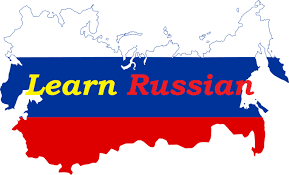 Russian immersion program is a great way to reach fast progress in Russian, because you will practce Russian not only in classes, but also at home and in the streets: order food in cafes, buy products in the shop, ask directon in the street, etc. You’ll get full School support with each step startng from preparaton documents for your visa. Besides Russian language course and Russian homestay EnjoyRussian school organizes eventul cultural program afer lessons: trips and excursions on the weekends, e.g. to the Kizhi island (UNESCO World Heritage Site), Valaam monastry in Ladoga lake, Solovki island in White sea, Kivach aterfall, Husky dog & reindeer farm, and diferent actvites with the Russian volunteers afer lessons: meetng party, excursion around the town, Russian banya, traditonal Karelian dancing class, cooking class on Karelian cuisine, presentaton day, natonal food party, bowling, rafing, horse riding, boat trips, picnics, photo sessions and lots more. Russian homestay is 150 (+breakfast) or 235 euro (+breakfast and dinner) per 2 weeks.